How do you dispose of Charcoal When it is Finished. This seems like a simple question for most but when you think about it, it is quite critical. Most people just assume that you wait until the charcoal is burned through then you just throw it in the trash to clear your grill. If you live in an apartment complex or have to leave suddenly from a park or campground there are a number of ways to put out the charcoal before leaving. Never put charcoal that is still hot or warm to the touch in the garbage, wastebasket, waste bin or other container where trash is held for pickup. Charcoal can be left in the grill until it burns out. 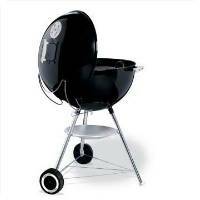 The grill can be closed or opened depending on the location that you are in. If you are in an area where there is dry brush and your BBQ ends late close the grill to contain the heat. Always ensure that the grill is at least 8-10 feet away from the side of a house or structure that might catch fire. You can use a metal scoop or shovel to remove the charcoal and place it in a metal waste bin. You can douse the charcoal with water only to completely stop the burning of the charcoal. If you use wood chips along with the charcoal you can allow the wood to burn through. In this case it is best to close the lid on the grill if you intend to leave the unit unattended overnight or in an area where there might be dry brush or some combustible materials. These are the most basic ways to stop burning charcoal that was used in a BBQ grill. Of course the amount of charcoal and the type of charcoal being used will often times dictate the manner in which the charcoal is dealt with. If you have additional suggestions to this information and would like to see that added on this page please forward that to us at www.jakesfamousfoods.com.